One of the newest ways retailers are attracting customers walking by their store is to place a television monitor in the window and run a short video that describes a product or in the case of real estate agents, show listings with photos of the houses. However, the glare from the untreated window can be so bad that it washes out any image inside and passers-by can’t see inside. 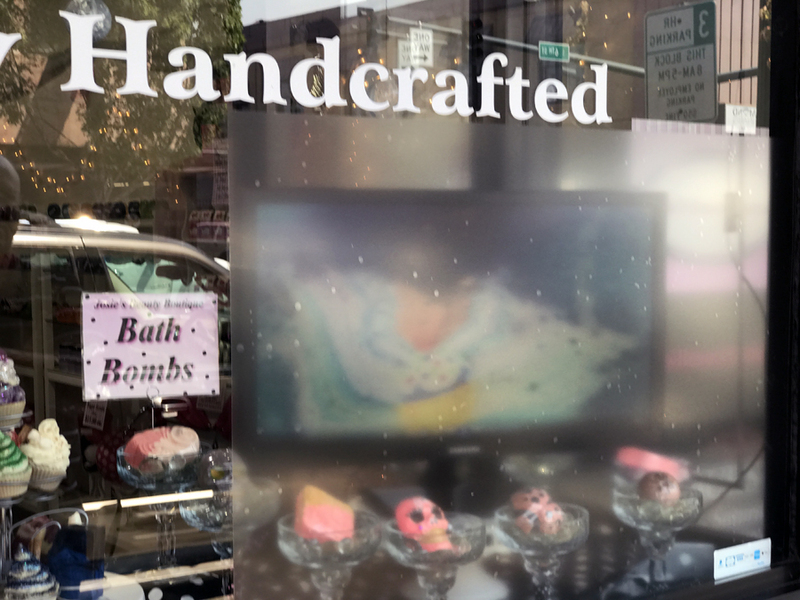 The untreated storefront glass is reflecting images from the street. This was the case with Josie’s Beauty Boutique in Grants Pass, Oregon. She placed a monitor in the window and instead of seeing the screen, all you saw was the reflection of the street and cars. 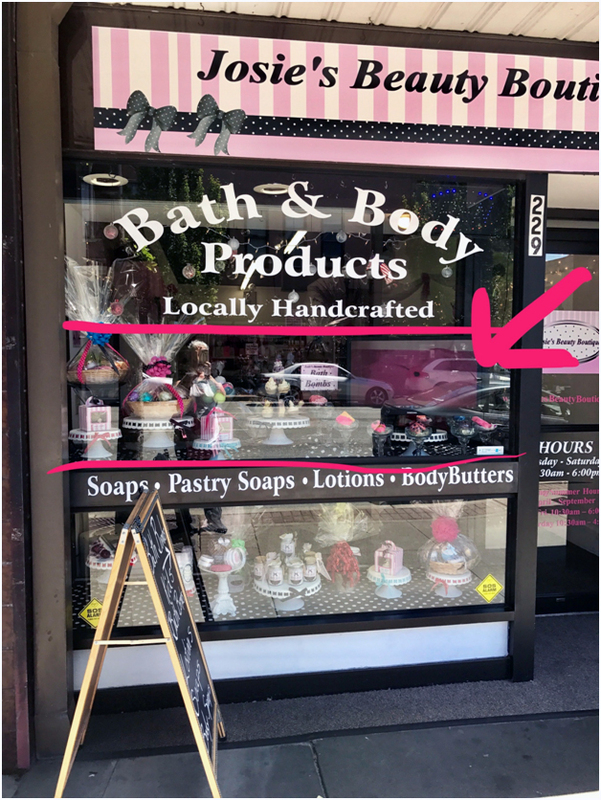 This is when she turned to NuShield to find a solution that would allow her customers to see the video on the monitor instead of the cars across the street. 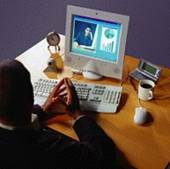 The problem placing an anti-glare film on the glass is that the diffusion of the surface which eliminates glare also leaves the viewing area fuzzy. And when direct sunlight hits the film, it makes any image dark. Placing an anti-glare film over the glass makes the situation worse. NuShield recommended placing the DayVue anti-reflective screen protector film across the front of the window at eye level to eliminate the reflective glare. 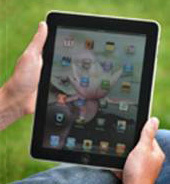 The DayVue film is easily installed and stands up to harsh weather. Even during times when the sun directly hits the glass, the DayVue film traps the glare so that it does not interfere with visibility. As seen by the photos, there is greater visibility of objects and the tv monitor inside the window, even when there is direct sunshine on the glass. 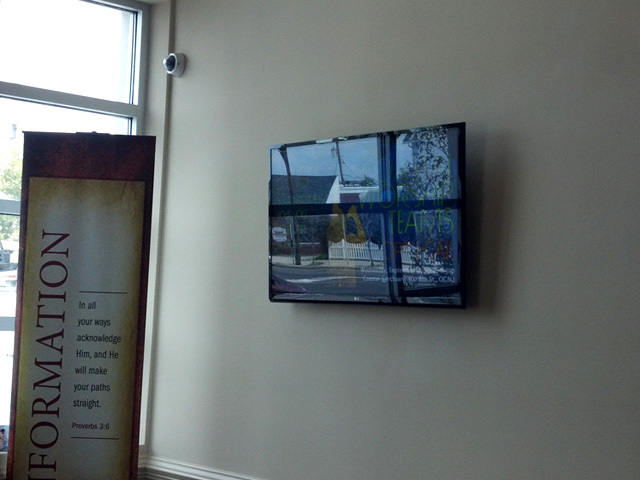 The DayVue film eliminates the glare and provides clear visibility through the glass. The DayVue film for these types of applications is available in a roll form. The height of the film is 39 inches and is usually placed at six feet up from the sidewalk so that the people stopping to look inside will see the area covered by the film. 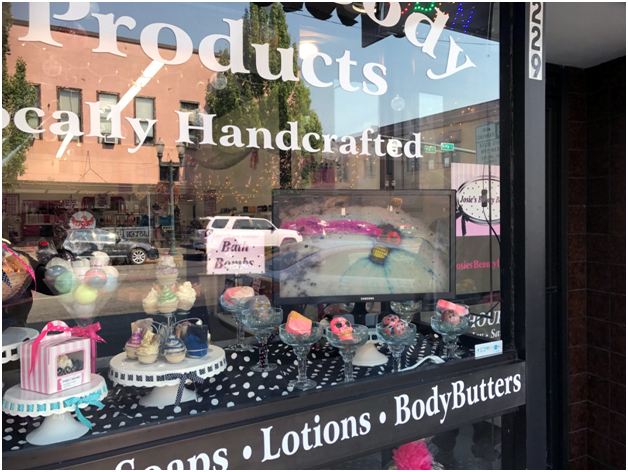 NuShield has worked with hundreds of store owners with similar issues to eliminate glare from their storefront windows and allow passers-by to look inside the store without any reflections.